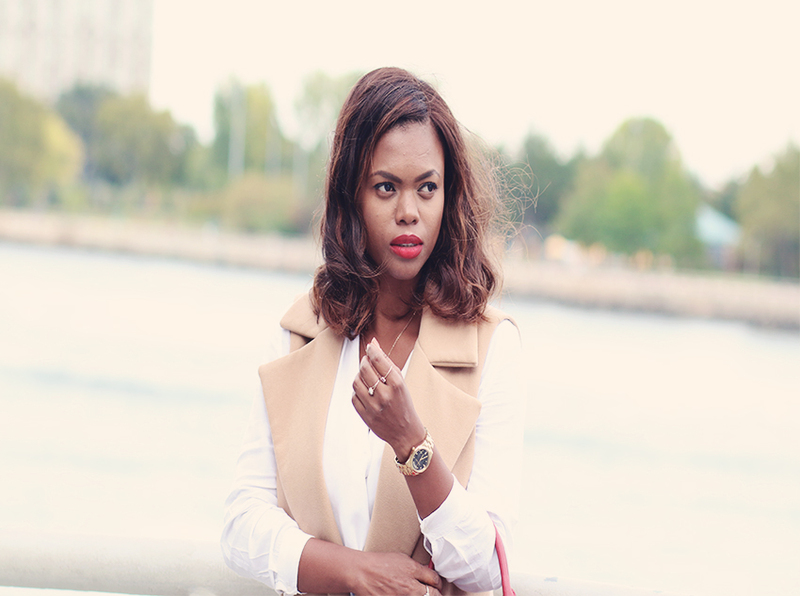 It was a matter of time before this missguided sleeveless camel coat reappeared on the blog. It's the perfect piece to transition from fall to winter to spring.I'm so obsessed with the sleeveless coat,I got another camel one from ASOS here and I've been wearing it everyday this week. Another thing that's on rotation is this camel suede skirt(here). I really like how practical this skirt is,matches everything and it's a front popper.